One of the main reasons I wanted to celebrate turning 40 in Canada was so I could take a trip on the Rocky Mountaineer…..and that trip was part 3 of my Canadian Adventure and it certainly didn’t disappoint. We stepped onto the Rocky at some ungodly hour on a slightly cloudy day in Jasper station. Our hosts Chan, Alana and Jennifer introduced themselves as the Rocky rolled out of Jasper station…..within 5 minutes a ‘bucks fizz’ sat on my tray top. I think I knew at that point that this was going to be a fabulous couple days….!! As we made our way towards Vancouver the scenery changed from snow topped mountains, to the lushest greenery I’ve ever seen, to dry and sandy and finally onto city suburbs, we saw bears, mountain goats, big horned sheep, eagles and osprey….it was truly amazing and the enormous windows and domed roof of our silver leaf carriage meant we didn’t miss a thing. Every mealtime saw the tray top in front of me turn into my very own white table clothed eating area and the food was simply amazing……from the cranberry salad appetiser on day 1, to the most amazing chicken dish I’ve ever eaten on day 2 it was a fabulous culinary experience as well as a scenic one. Our three hosts were superb, we were fed watered and entertained throughout the entire journey…..five star service with a smile. I’m not one for sitting still for too long but, as we rolled into Vancouver my only regret was that I hadn’t booked a longer journey……if your travelling to Canada I would definitely recommend a journey on the Rocky……!! So my Canadian adventure is continuing at pace, before I move on to part 2 I just want to revert to part 1 for a little update. Since I posted my blog post I have since discovered (via the weather report) that 57 Cm of snow fell the day we visited Lake Louise. That’s a pretty significant snowfall for springtime…..no wonder they re-opened the ski hills. Our stay in Banff ended with a wildlife safari where, we (that’s Miss T, Mother dearest, Mrs B and I) together with a mini bus full of wildlife loving international tourists went in search of Bears, well it was actually supposed to be for all walks of wildlife but let’s cut to the chase here…..we were all hoping to see bears. Despite our guide Pam’s best efforts the bears sadly stayed out of sight. We did however encounter numerous deer, the back end of a rocky mountain goat, a goose and numerous fellow tourists…!!! The following day it was all aboard a Brewster ‘Motorcoach’ destination Jasper……a mere 154 km away and onto part 2 of the Canadian adventure. This journey was without doubt the most scenic I’ve ever experienced……it was nothing short of spectacular…..!! A blizzard was falling in Banff as we left and I have to say it felt pretty cold and really wasn’t much fun however, as we pushed on past Lake Louise and up to the ice parkway the weather began to clear. The views of the snow covered mountains, glaciers and frozen waterfalls were nothing short of spectacular. As we entered Jasper National Park the snowy scenery started to give way to green scenery, we soon came across some Rocky Mountain goats, grazing in the road (as you do on the highway). Brian our driver pulled aside so we tourists could indulge our inner wildlife photographer as the poor goats made a bid for freedom by scaling the cliff face. We had barely recovered our composure from all the goat photography when a truck pulled into the side of the highway caught our eye and as we approached we spotted what had caught their attention……a beautiful black bear hanging around roadside foraging for berries. Again we proved our tourist credentials by snapping away (I will post photos when I’m back on the rock) before Mr or Mrs bear tired of us, crossed the highway and disappeared into the cover of the forest. The following morning we awoke to find Jasper shrouded in sunshine so we headed for the Jasper skytram. Whilst ‘downtown’ was clear of snow the hiking trails at the upper station were still covered in a thick blanket of snow. Undeterred Miss T and I settled Mother dearest and Mrs B on a rock, donned our rather fetching shoe grips and set off up the mountain. Now when we reached our summit we were I have to say pretty breathless (the air was pretty thin at that altitude) and I know I was wondering what had possessed us……and then I turned around…..the view of the mountains and lakes was just fantastic. As usual, for me, getting down from the summit was far more challenging than actually climbing up to it. I’m glad to say we both made it down unscathed and after collecting Mother dearest and Mrs B from their rock we enjoying a well deserved high altitude hot chocolate, all the more enjoyable as calories don’t exist at that altitude….!! In my next post it’s all aboard the Rocky Mountaineer for part 3 of the Canadian adventure. As many people have commented my blog has been a little neglected of late and for this I can only apologise. This is however good for me for two reasons……The first being that people have missed me…..the second being that I have been extremely busy so there’s lots for me to blog about in the coming weeks….!! But on with this post which comes to you live not from a tiny rock in the English Channel but from Chateau Lake Louise in the Canadian Rocky Mountains…..yup it’s long awaited holiday time :). When I was considering what I could do to celebrate turning the big 40, and officially entering middle age (as many have pointed out), there was one thing that really stood out at the top of the ideas list (yes I’m that sad I made a list)…..I wanted to return to Banff in Canada. Although 17 years have galloped by since my last visit I wanted to see it in a different season to ski season (sorry I mean winter……I do actually know that ski-ing hasn’t yet made it to be one of the official four seasons) so we (that is my travel bud Miss T, Mother dearest & our friend Mrs B) elected to travel in Spring. Well yesterday we arrived in Banff via Calgary airport to a blanket and by blanket I mean the really thick mid-winter double duvet type of blanket of snow……I think there’s actually more snow here than when I’ve previously visited in ski season!! In fact I’m beginning to think I have an influence on the weather system here…..during my first visit way back in 1996 we experienced ‘freak’ conditions which saw us ski-ing every day in Temperatures the wrong side of -40 (yes I can confirm your tongue does stick to stuff in those temperatures). Un-deterred we lept from our beds this morning and boarded the bus to Chateau Lake Louise. The lake I have to say was not displaying the spring colours we were expecting in fact it was displaying just one colour…..very bright and beautiful white. This actually added to our excitement and we set off, ice walking studs strapped to our hiking boots, through the snow. Disappointingly Mrs B the shortest of us all declined my suggestion of posing for photos in the deepest snow…..I thought it would be a good way of recording just how deep it actually was. Miss T and I continued around the lake until we were met by a sign deterring people from continuing unless they had avalanche survival skills and a raft of equipment we couldn’t even spell. We momentarily debated as to whether we did in fact have these skills/equipment but decided, wisely I feel, that the torch on my iPhone, combined cookery skills which usually result in plain salad and the shrieks we’d let out when snow had fallen from the trees and planted itself in our hoods didn’t bode well, so we made the very wise decision to return to the chateau for a hot chocolate. The afternoon was spent in the warmth of the chateau shopping and then munching our way through a very delicious afternoon tea & quaffing prosecco in front of a large window where we could enjoy the sight of others batteling through the snow surrounding the lake. All in all a not too shabby start to the long awaited holiday…..!! I will post a photo account just as soon as I’ve thawed out when I’m back on the rock. Despite it being the shortest month, February seemed to drag on forever. I’m not very good at being indoors but. the awful storms we experienced unfortunately left very little choice. We fared much better than our neighbours in the UK and France but, our poor little island still took an awful battering…….some might say we were literally left ‘clinging to a rock’. When there was finally a break in the weather it became apparent that i am not the only person who suffers from ‘cabin fever’…..it seemed the entire population of the island were out and about. 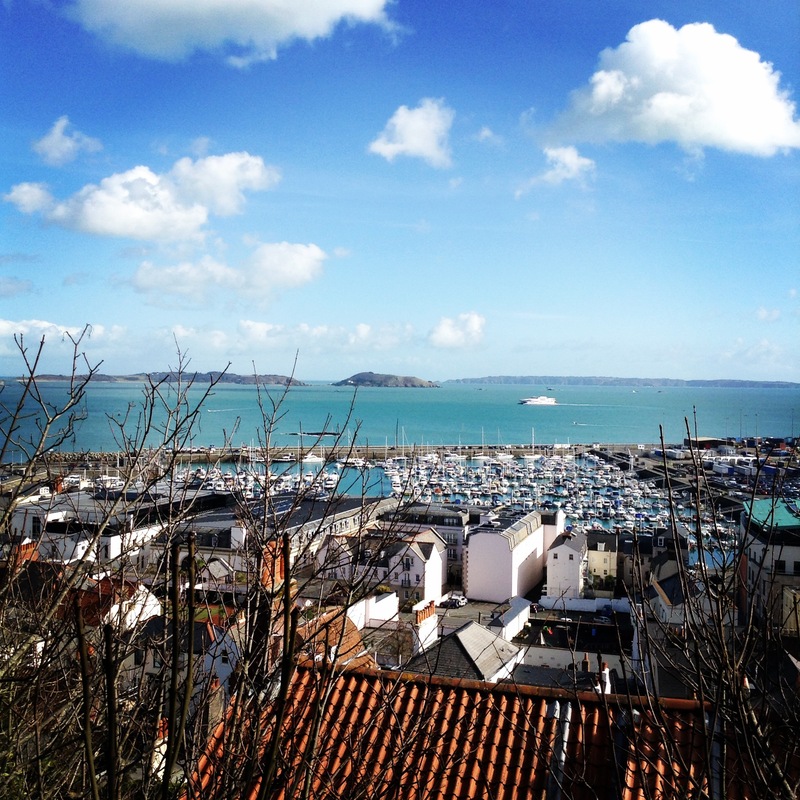 Here is a selection of my favourite ‘out and about in Guernsey’ photos from February. 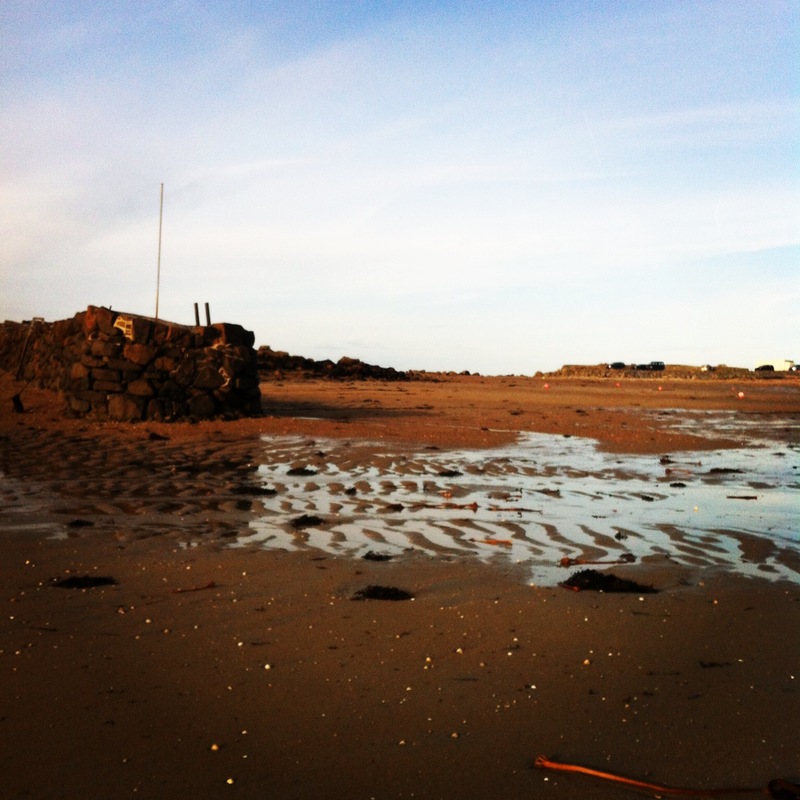 The island looked so beautiful in the winter sunshine I was even inspired to write poetry whilst out on one of my coastal walks!! My list of ‘40 things to do in 2014′ is progressing very nicely. 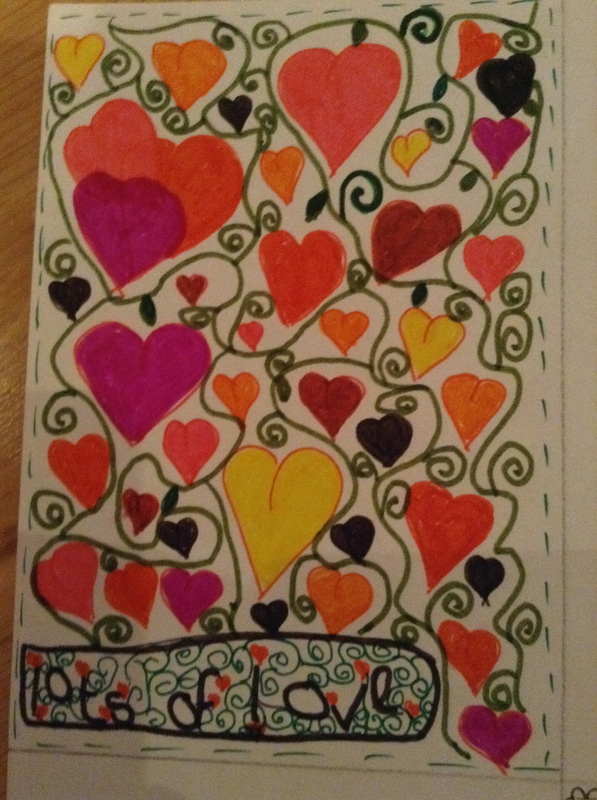 My picture of the month is a February themed doodle I did whilst enjoying a doodle day which i blogged about previously. My book of the month I’m afraid is not terribly interesting…..I have taken on some study but having spent much of the last 2 years studying, I really wasn’t planning on this for the first half of the year. The result is that I haven’t been organised enough to have study time and pleasurable reading time therefore, my book of the month is my study text book……which I can confirm I have read cover to cover. Whilst the studying is on-going I am now more organised and I have already made a start on my march book of the month. I had a go at archery which was very enjoyable although, I was a little disappointed not to be able to dust off my Robin Hood tunic and tights……?! After a slow start I was rather pleased to hit the gold part of the target on multiple occasions and, I’m now very much hoping to get onto a beginners course in the summer. 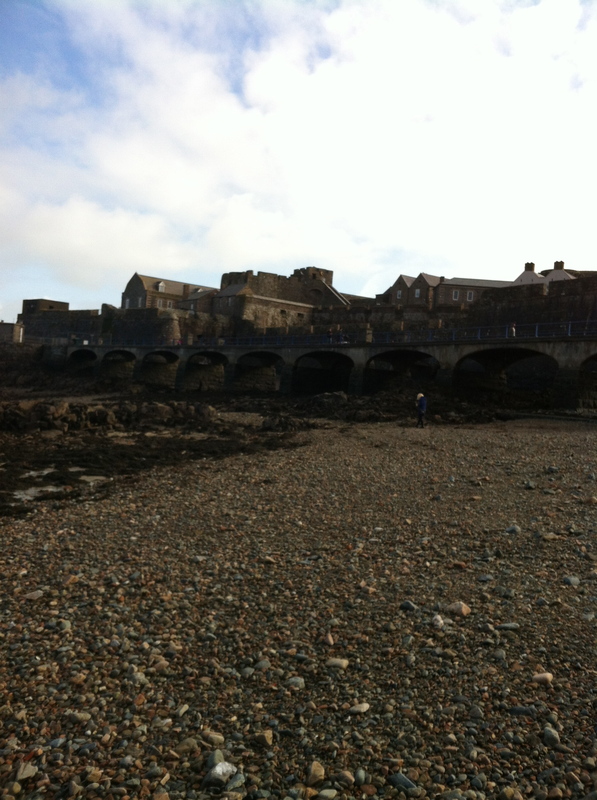 My beginners course of Guernsey french or, Guernesais (pronounced Jur-nayz-yeah) has sadly come to an end. It’s such a complicated language as there is no written word, there are different dialects for different parts of the island and it’s not spoken in day to day life so practicing is difficult……plus the parish that I live in is the most difficult to pronounce……my many attempts to do so often bought laughter to the lessons. Undeterred though I have signed up for a follow up course which begins this week. For now though I will say good-bye until next time or in Guernesais A la perchoine. Who doesn’t love to doodle? I certainly do but, my doodles never seem to be overly creative or pretty. So when a local adult education provider, Workers Education Association, were advertising a doodling workshop, I signed myself up pronto and coerced the lovely Martine of IMake fame into coming along too. What a fantastic day I’ve had learning how to structure my doodles. 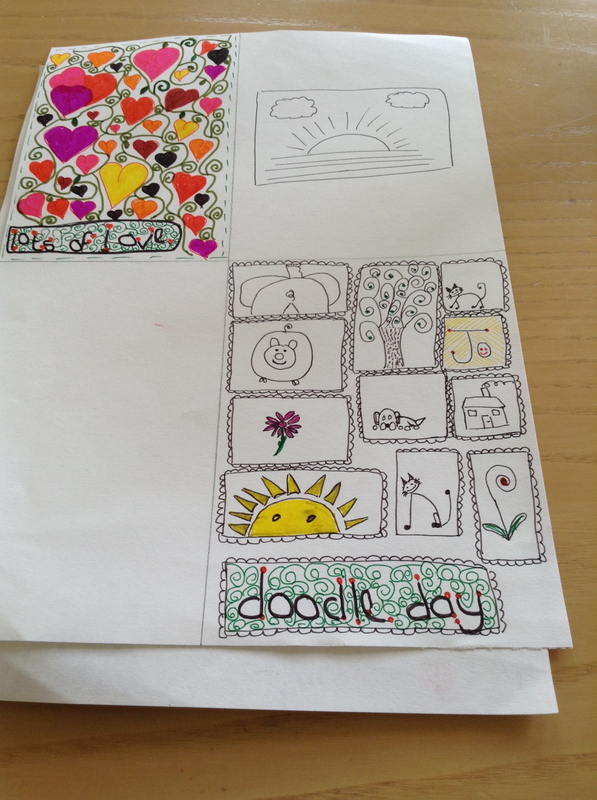 Our tutor Lynn was very modest about her own doodling skills but she showed us her work and I have to say I was pretty blown away…..I never realised that doodles were so far reaching, the sky really is the limit! 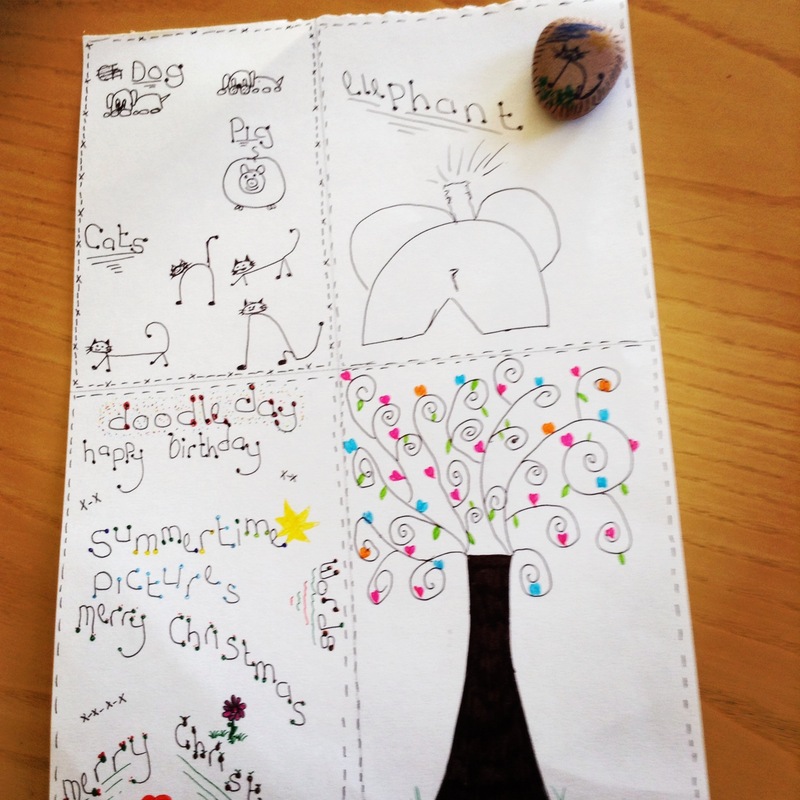 During the morning session we learnt various doodling techniques:- a mixture of pictures, words and doodling on a stone……. I particularly loved the cats (obviously) but, the elephant and the pig also have a special place in my heart. After a delicious sandwich lunch and a sneaky piece of carrot cake (1 of my 5 a day) in Les Cotils Coffee Shop, we wondered around the grounds at Les Cotils to get some fresh air……..what a spectacular view they have!! The afternoon session focused more on practicing the techniques learned. I was loving the day so much I just had to express it and worked on a piece I called ‘lots of love’. Then I did a series of doodles which summarised the day for me. Sadly I think this was the last planned session this year but, if you live in Guernsey and doodling is your thing, then keep an eye on the WEA website, they may just put on additional sessions and in my opinion it’s definitely a day well spent. I shall definitely working on more structured doodling now so watch this space…..
Well I can’t quite believe that we’re about to enter the last week of January already. 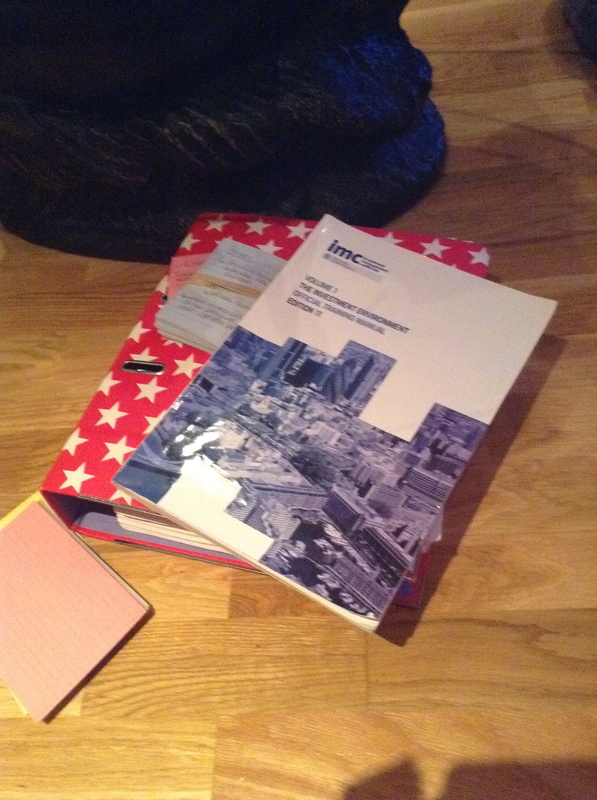 I’ve started planning how I’m going to complete my list of 40 things to do in 2014…..It is ever so slightly daunting but I have a trustee spreadsheet (ssshhh that is not at all geeky) and I’m underway. My book for January is an audio book (I make the rules & have ruled audio books to be acceptable) ‘the Summer of Love’ by Katie Fforde. I love Katie Fforde’s books a nice easy read/listen. I have chosen the reference for my January picture, a fab stormy scene photographed by my lovely friend Jen when we went for a walk over the Christmas/New Year period. It’s already sketched out & I will be using watercolour to finish it over the next couple of days. I’ve started taking Guernesiais (Guernsey French) during my lunch breaks. This is Guernsey’s native language which is very sadly dying out as the older generations of Guerns pass. I personally think it would be awful if it were to become extinct and fortunately there are efforts being made to re-generate it in schools etc. Lastly from my list for this month I’ve had a go at some crocheting. I’ve not really put in enough practice time so I’m not really progressing but it’s a start!! Well I hope you all had a fabulous Christmas, spent quality time with your loved ones and got everything your heart desired. I mentioned in my last post my love of receiving handmade gifts. I was delighted that the very first gift I unwrapped (well technically the first gift I unwrapped was cat biscuits and a flea collar but, once we established I was working from the wrong pile it was the first gift) was a knitted hat and scarf made by my very clever Mum. Bring on the cold January/February weather!! Now we’ve reached that time of year where every mortal soul pledges to go to the gym 100 times a week, quit smoking, quit drinking and generally live a vice free life…..All of which usually lasts until about lunchtime on New Year’s Day. Now. Am I right or am I right. I learned many years ago that New Years resolutions just don’t work for me. To start with I hate being told what to do even if it is me doing the telling. It’s far better just to let me come up with the idea myself…..I do usually get there eventually. So rather than make lots of resolutions I have no hope of keeping I prefer to make a plan for the year and make the required adjustments throughout the year when the opportunities presents themselves. 2014 will see me reach the grand old age of 40. Now I can’t let this milestone go past without marking it in someway……so I’ve compiled a list of 40 things I want to do throughout the year (ok I know there’s only 33 at the moment but I still have 2 days to come up with the last 7). I’ve gone for quite a variety, some of which will be completely new to me, others are things I particularly enjoy but don’t get to do often enough. I shall keep everyone updated via the blog. One thing from this list I’ve already signed up for (well I’ve ordered the required book as no signature is actually required) is the ‘Imake Snowflake CAL’ which requires me to crochet 2 snowflakes each month. There is a small hurdle here in that I can’t crochet……I’m hoping this will be a good way to learn and I’ve already got some fab ideas of what I’ll do with my snowflakes. Hopefully my snowflakes will improve as the year progresses. I hope you all have a safe and wonderful New Year’s Eve and I wish everyone a happy, healthy and prosperous 2014. A blog on trying harder to buy local, eat seasonal and cook real food. 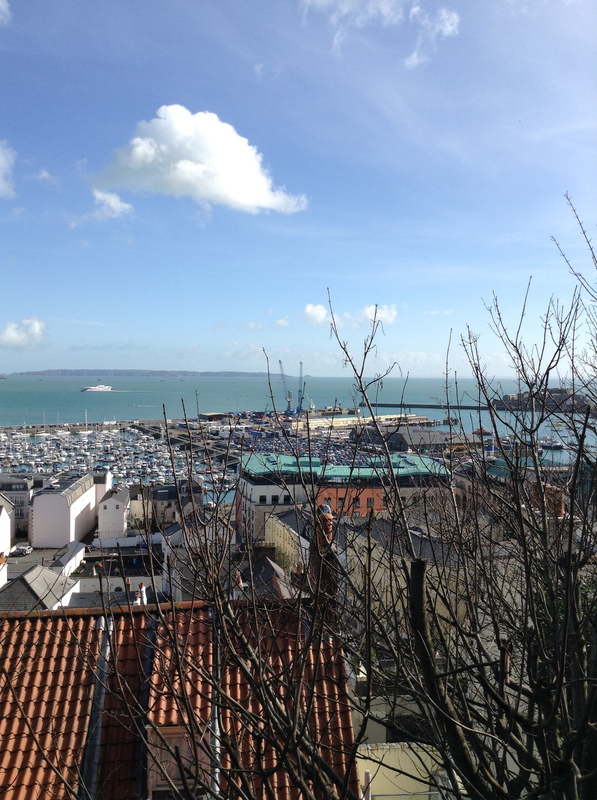 Could Guernsey do more of this and become more self-sufficient and self-reliant? Author of historic novel 'Journey to the Other Side' and pet photographer. Please note any views in this blog are my own, and not formed from any formal medical training.